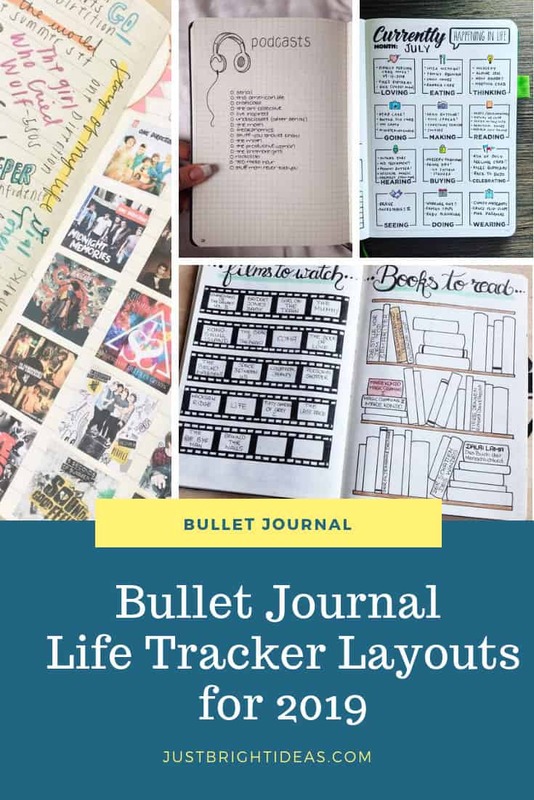 Today as part of our super popular Bullet Journal Tracker series I thought we’d put the “journal” into Bullet Journal with these tracker ideas for spreads like books you’ve read this year or movies you’ve enjoyed. These are the collections you can look back at in the future to see what you were doing in 2019. 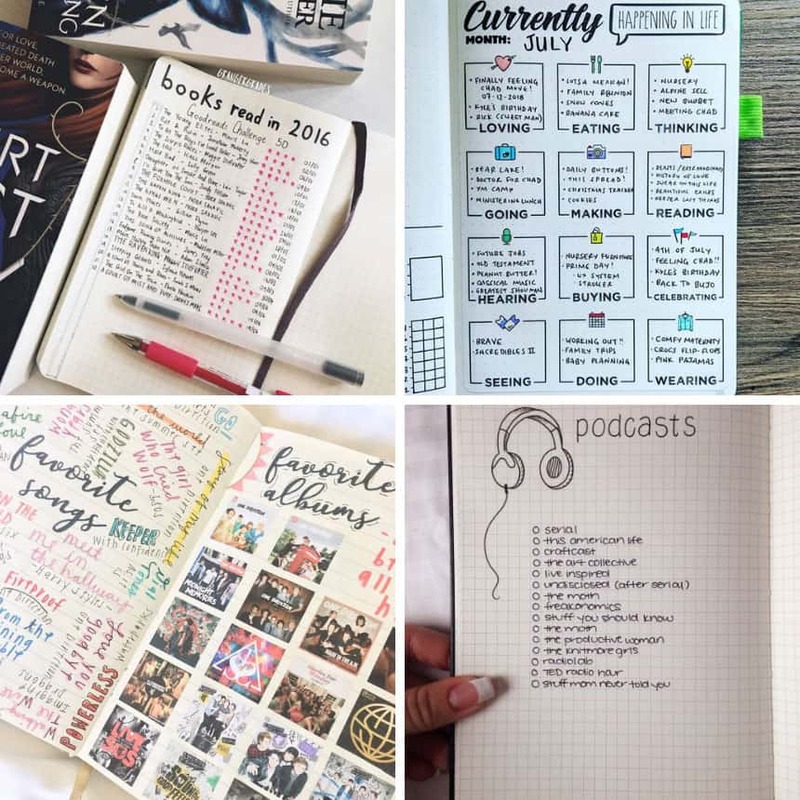 If you’re an avid reader you’re bound to have a bookshelf (or bookcase) full of books you need to read, so use a spread like this to write them out so you can check them off as you. 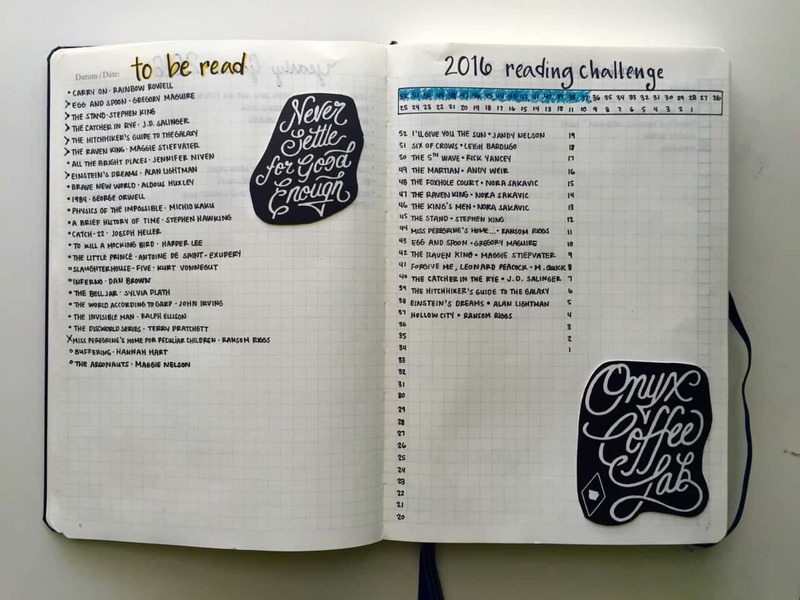 If you’re going to take part in the 52 books in a year challenge in 2019 then this is a good way of keeping track of your progress too! Or try a layout like this if you like to award a star rating to your book and keep track of when you read them. 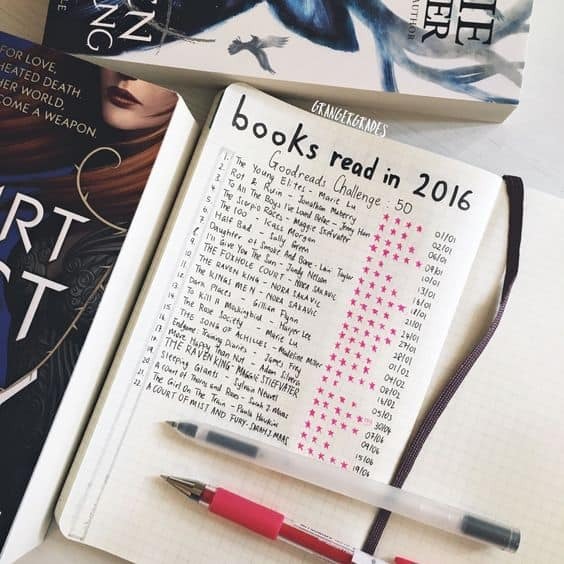 I like to record the start and end dates of the books that I’ve read just so I can see at a glance which ones were so good I tore through them in no time! 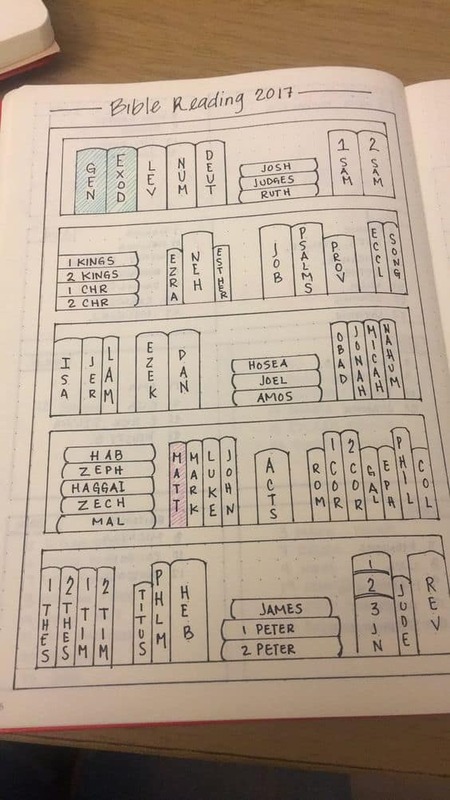 If 2019 is the year you want to be more faithful to your bible reading then a tracker layout like this will help you see your progress. 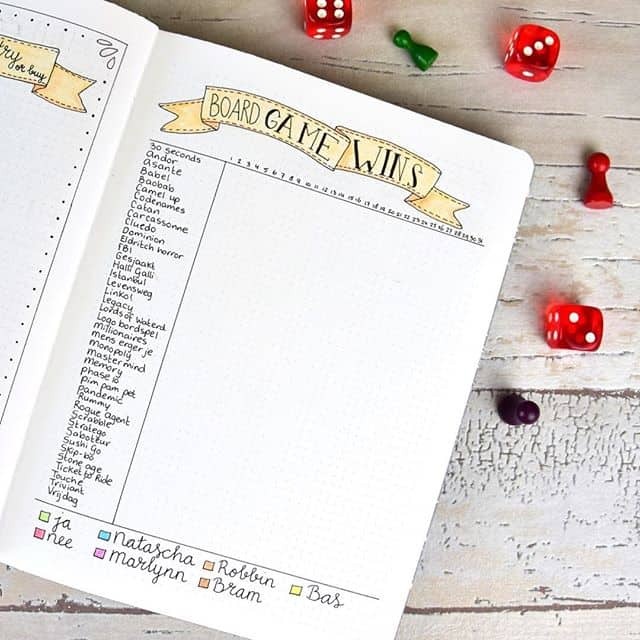 And if board games are your thing you’ll definitely want to track who won which games during the year! 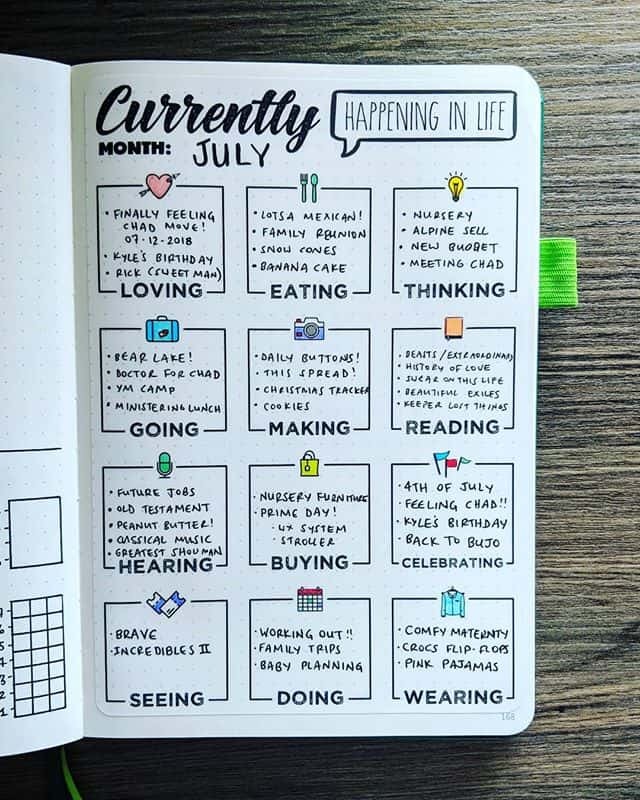 I love this spread because you can see at a glance what you were doing in different areas of your life each month! 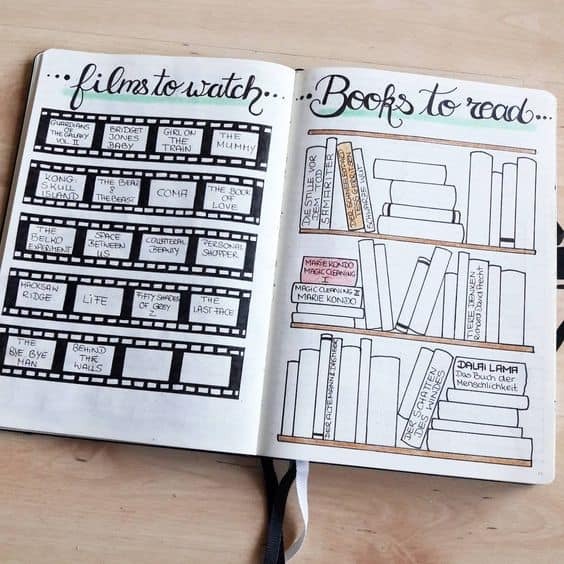 I love this “films to watch” tracker that has a movie reel feel to it, and if you want to track the books you’ve read (or plan to read) this book shelf spread is a popular layout. 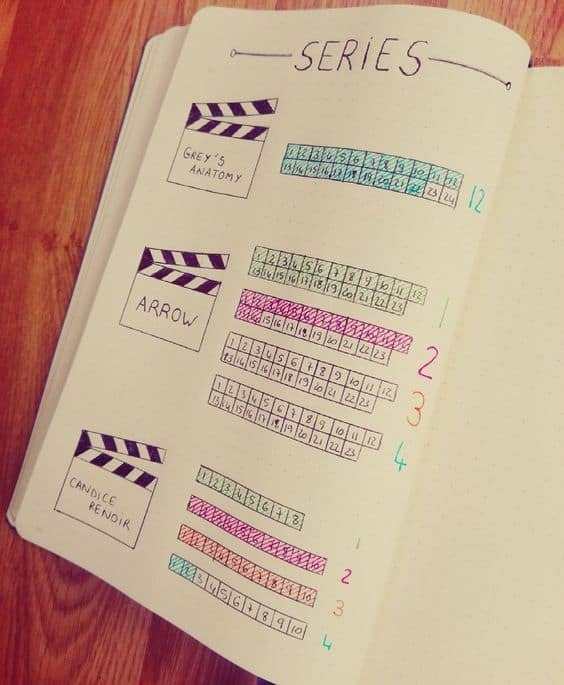 If TV shows are more your thing then try a simple grid layout like this one to check off each episode so you make sure you don’t miss one! 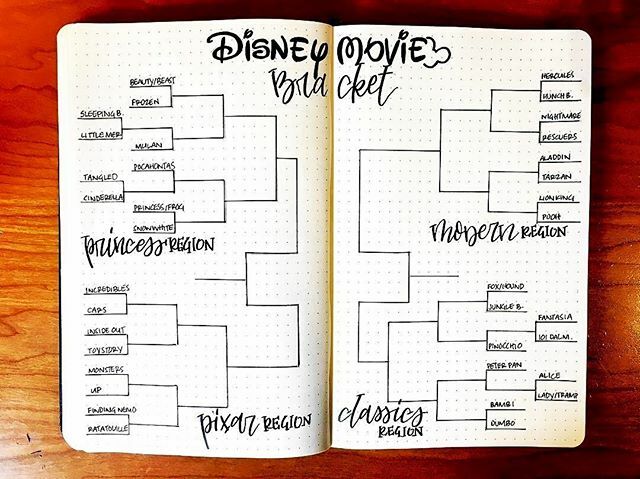 Have you seen all of the Disney movies? 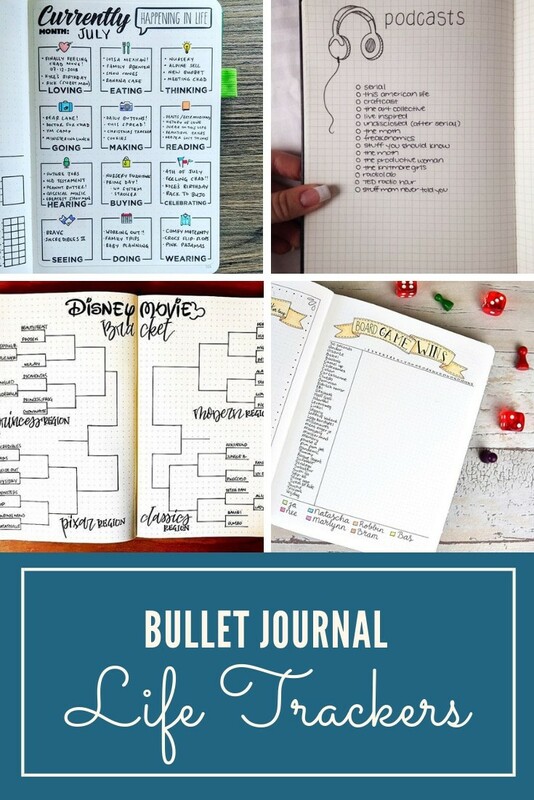 If not a tracker spread like this will help you check off your bucket list! 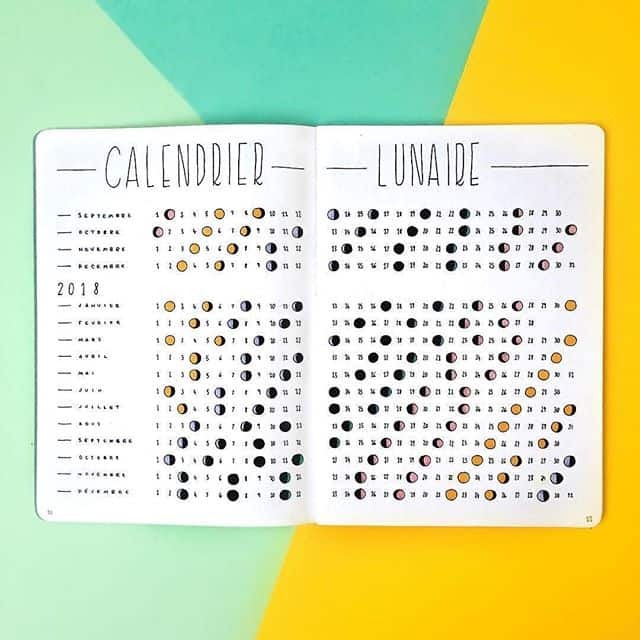 We’ve just been learning about the phases of the moon during home school so this lunar tracker jumped out at me and I had to include it in this collection! If you want a reminder for posterity of the podcasts you like listening to then this minimalist layout is a good option. 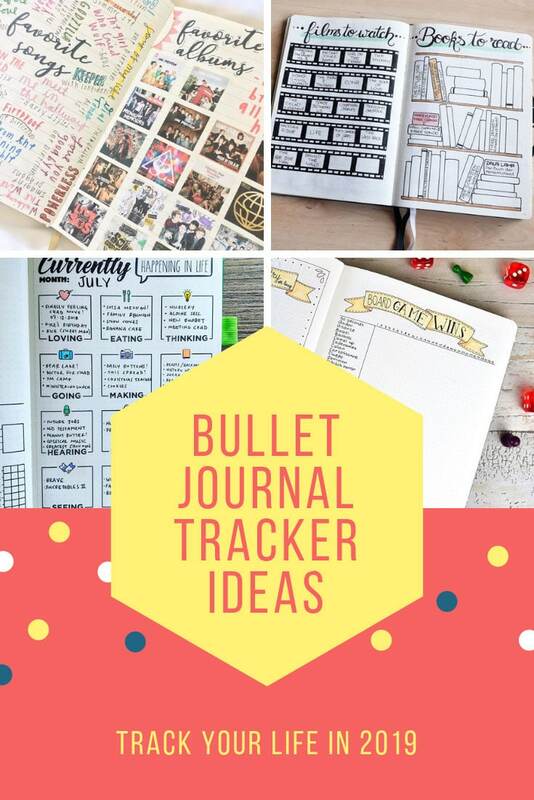 I’m hopeless at remembering which episodes I’ve actually heard though so I think I’m going to add in the check box ideas from the TV series tracker to my layout! 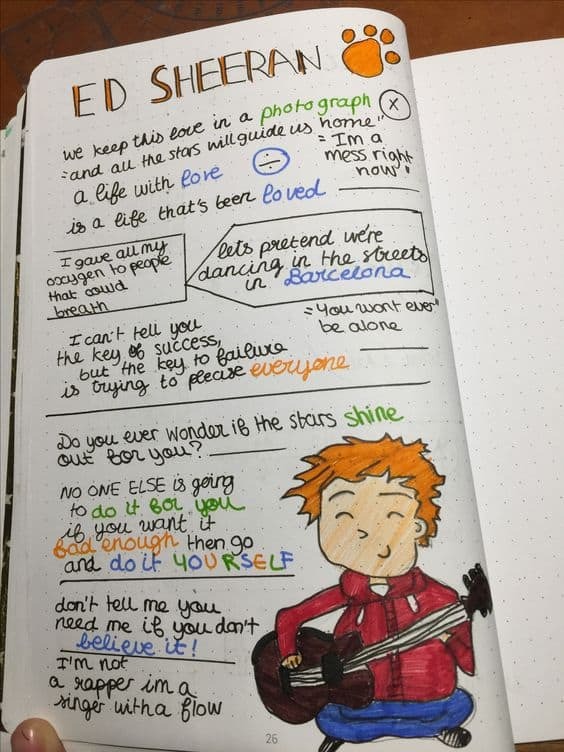 I love this idea for journalling your favorite song lyrics! 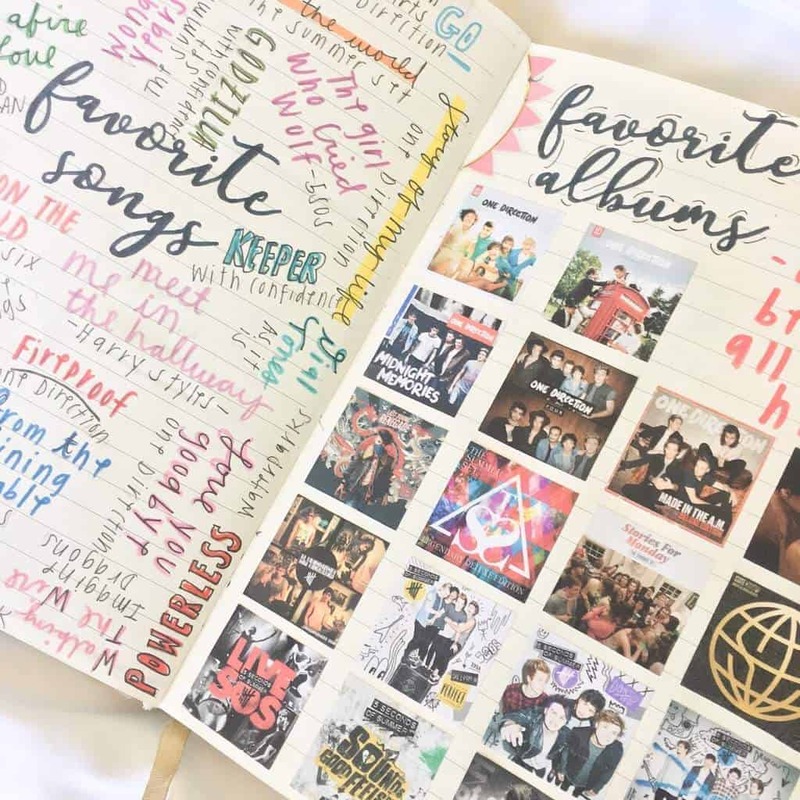 And this spread takes it a step farther by adding in the album covers! 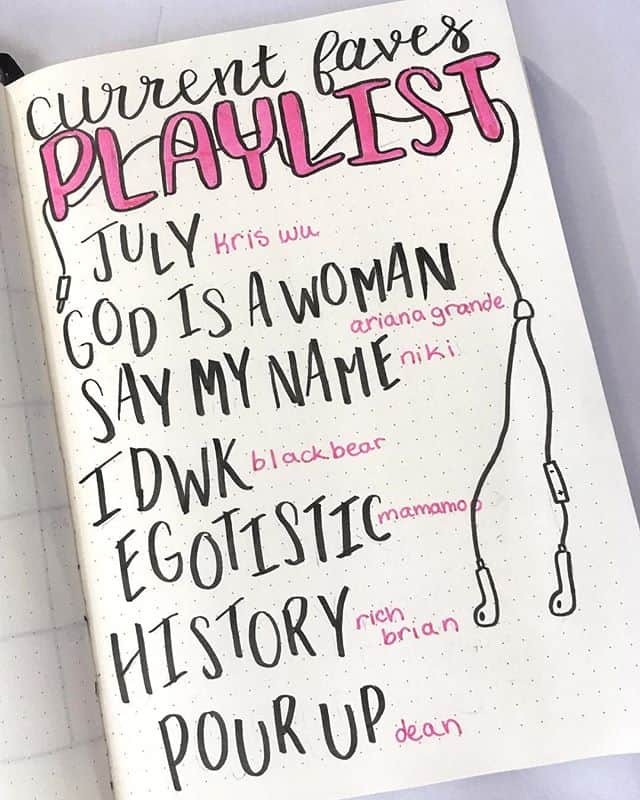 This playlist tracker is going to come in handy because I tend to ask Alexa to pick out my playlists for me on my Echo, and can never remember the actual names of the ones I really like listening to! 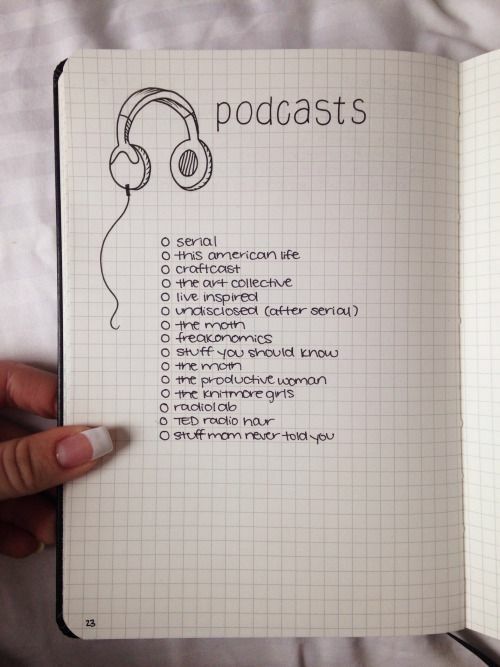 Or your favorite summer tunes! 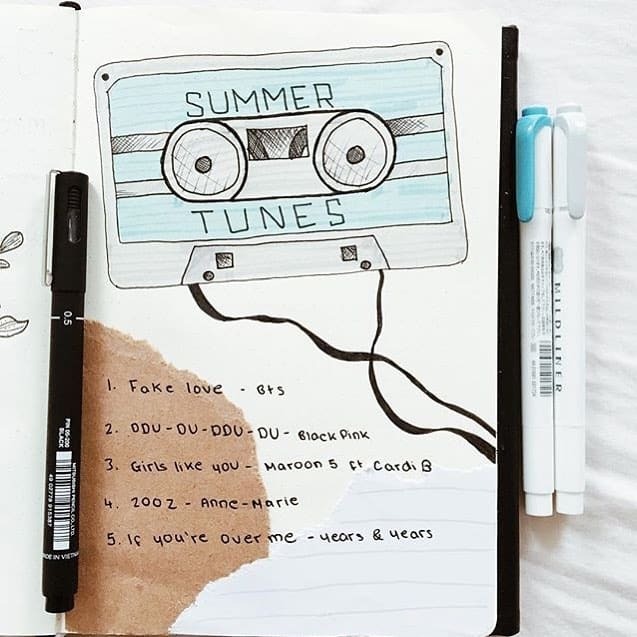 Or you could try this “retro cassette tape” style layout to journal your favourite songs of the season! 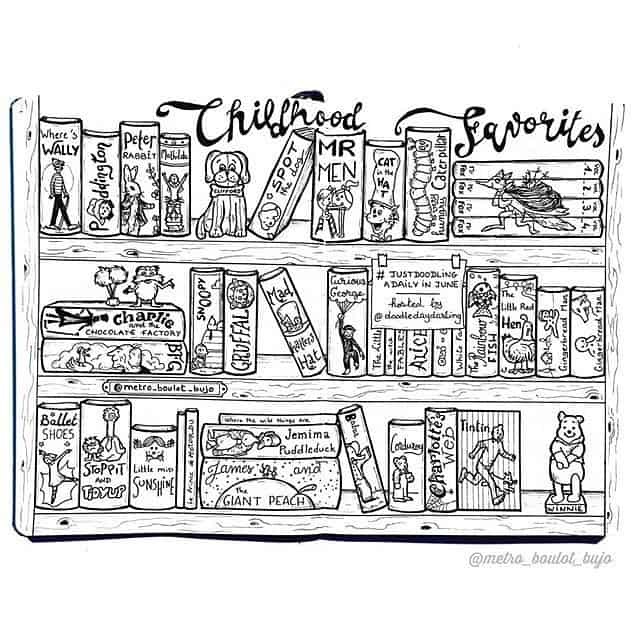 Here’s another book shelf layout, I wanted to add this one in too because it’s not about the books you’re reading right now, but the ones you used to love as a child!